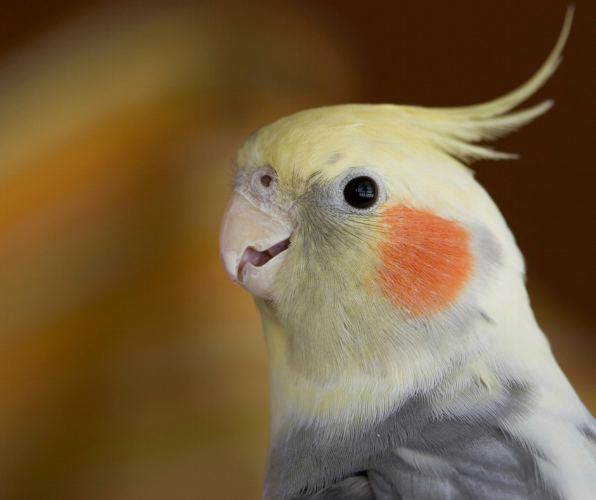 It’s no surprise that Cockatiels are the number one pet bird in America. These beautiful birds are beautiful, outgoing, and comical! Although they are one of the smallest birds in the parrot family, they are social birds that love to whistle and even have the potential to mimic your voice. If you are thinking of making a Cockatiel your family pet, here are a few things that you’ll want to keep in mind. Bird pellets should make up most of your Cockatiel’s diet (about 70%). Seed can make a good treat, but don’t feed your pet too much because seeds are high in fat. You should also supplement your bird’s diet with healthy vegetables and fruit like spinach, broccoli, mangos and grapes. What kind of housing does your Cockatiel need? Cockatiels need a cage that is large enough to accommodate several perches, toys and their food bowls. You want your bird to have enough room to flap his or her wings without hitting against anything. Of course, the larger the cage the better! Should I add any furnishings to the cage? You will need to include lots perches and toys to your pets cage to keep your Cockatiel entertained. Your pet loves to climb, so lots of perches will make your Cockatiel happy. Rotate the toys that you purchase for your Cockatiel each week so that your bird doesn’t get bored. They love to chew -- so choose toys that they can chew on! You should also cover the cage floor with newspaper and sprinkle the ground with treats or seed for your pet to find (Cockatiels are natural foragers). Thinking of adding a Cockatiel to your family? We carry Cockatiels and all of the pet supplies you need to help you feathered friend live a long, happy and healthy life.